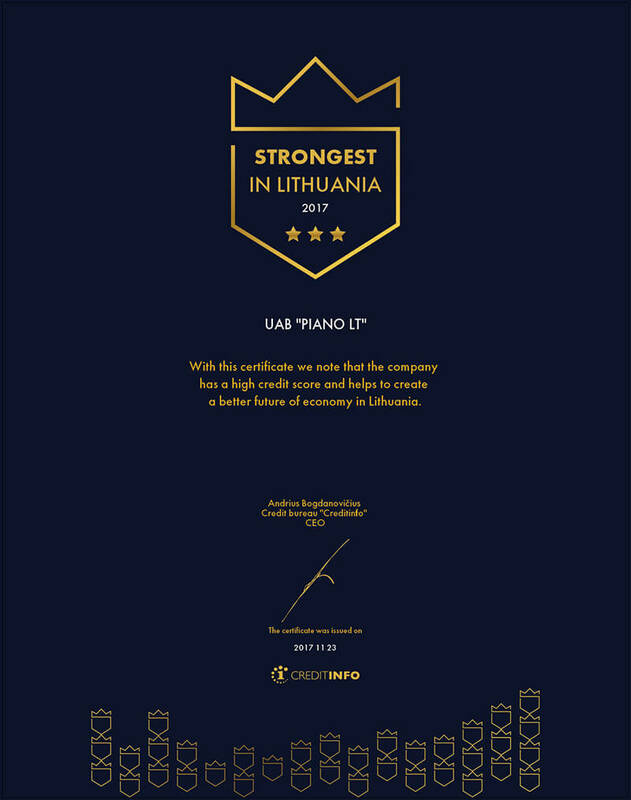 Since 2008, “PIANO LT” has been the representative of several world-renowned acoustic keyboard instrument brands for the Baltic states and Kaliningrad Oblast. 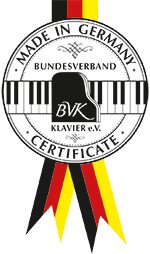 We specialise in European made grand pianos and upright pianos of medium high and highest class. 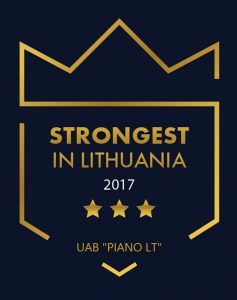 The manufacturers we represent offer a wide variety of instruments, ranging from those suited for beginning players to the highest class concert grand pianos and instruments of unique design. Our goal is to assist you through the process of purchasing an instrument that would best suit your needs and financial situation. 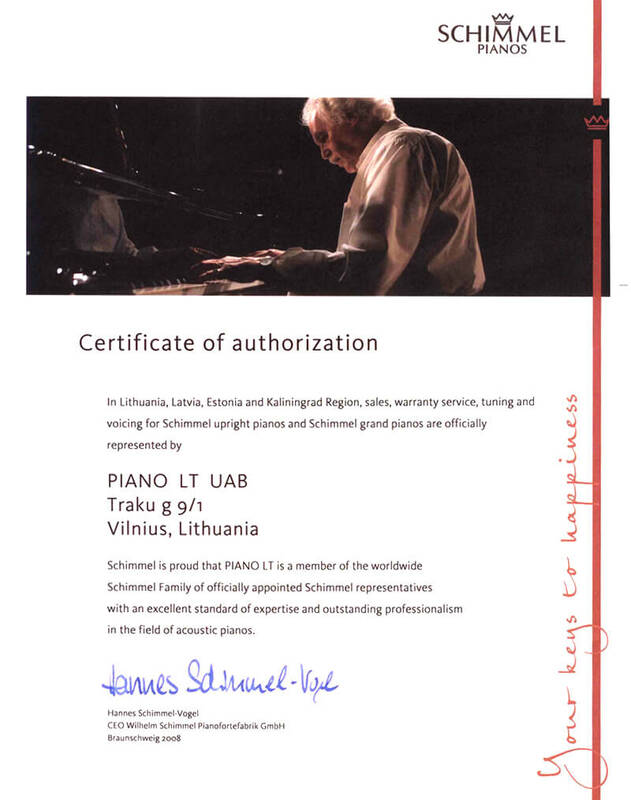 Since 2008, “PIANO LT” has been the official representative of two well-known brands: FAZIOLI, which are based in Italy and specialise in grand pianos of the highest class, and SCHIMMEL, which are based in Germany and offer economic and high class upright and grand pianos. 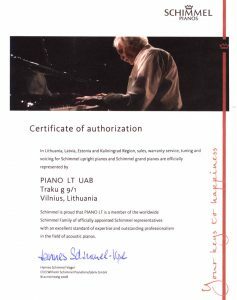 Both FAZIOLI and SCHIMMEL instruments can be found in a number of prestigious concert halls, art and music institutions, theatres, and museums all over the world. The production philosophy of these manufacturers is built around the old traditions of handcrafting. The exterior of the instruments is crafted using high-cost wood, luxurious inlays, and other components of high or highest quality. As such, these instruments meet and exceed the expectations of both amateur and professional pianists. 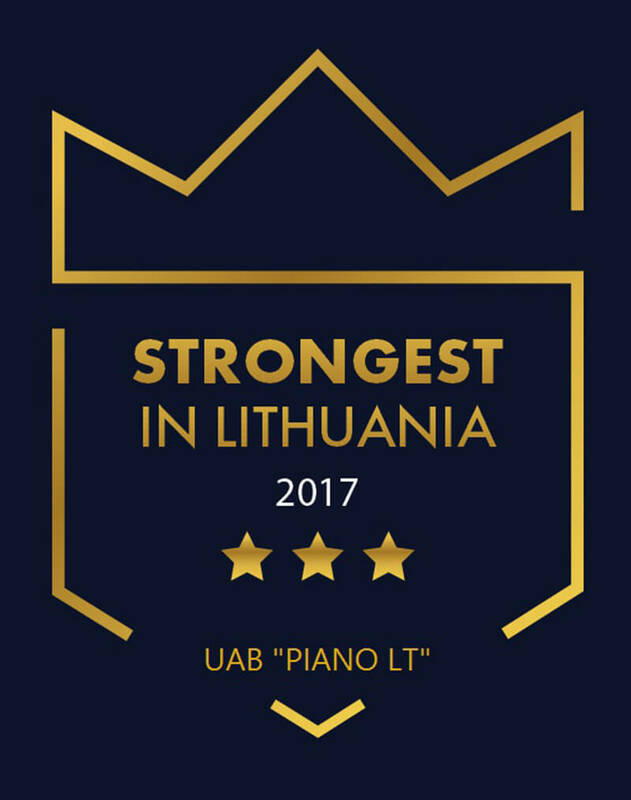 “PIANO LT” provides instruments to many concert halls in the Baltic states, music academies (Lithuanian Academy of Music and Theatre), professional art and music schools, museums (Palace of the Grand Dukes of Lithuania), music schools, and various other institutions in Lithuania. We often participate and are successful in government tenders, and our service has been very well-received by all of our clients. 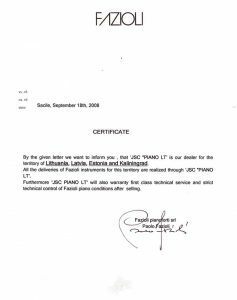 Our work with new and used acoustic instruments of various brands started in 1989, allowing us to accumulate a respectable amount of experience. 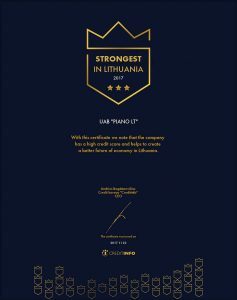 As such, the brands we represent today have been carefully chosen to ensure that our clients receive only durable, high quality instruments. 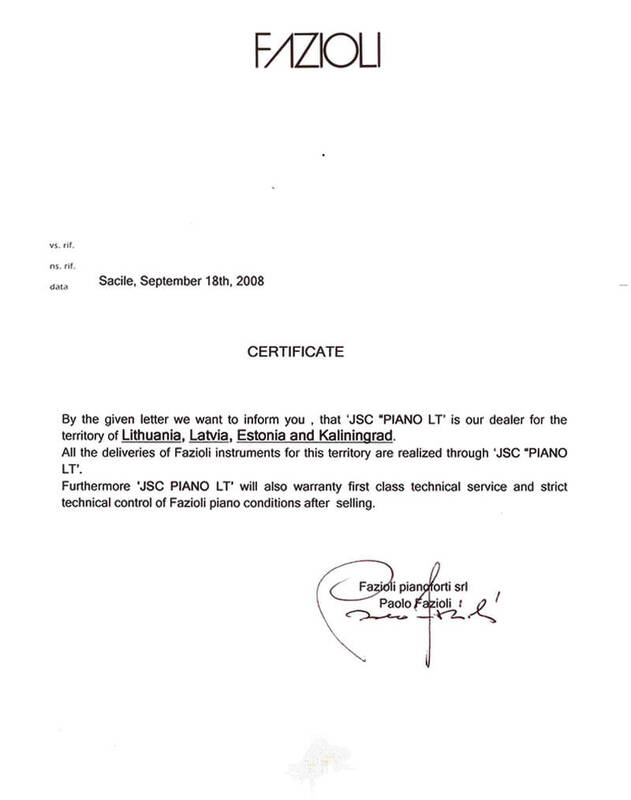 All instruments come with a 5 year warranty.